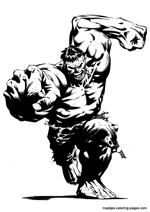 The Hulk is a fictional character, a superhero appearing in comic books published by Marvel Comics. 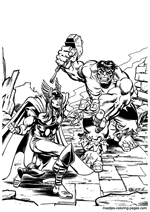 Created by Stan Lee and Jack Kirby, the character first appeared in The Incredible Hulk #1 (May 1962). 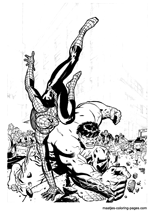 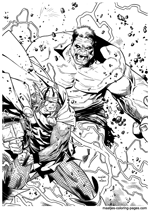 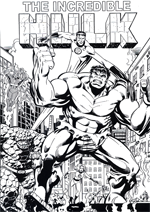 In 2008, the hobbyist magazine Wizard named the Hulk the seventh-greatest Marvel Comics character. 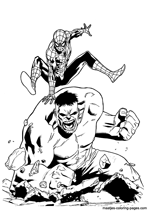 Empire Magazine named him the fourteenth greatest comic book character overall, and the fifth highest ranked in the Marvel stable. 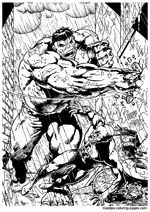 Although the Hulk's coloration has varied throughout the character's publication history, the most consistent shade is green. 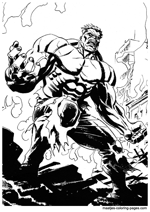 As the Hulk, Banner is capable of significant feats of strength, which increases in direct proportion to the character's anger. 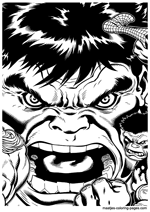 Strong emotions such as anger, terror and grief are also triggers for forcing Banner's transformation into the Hulk. 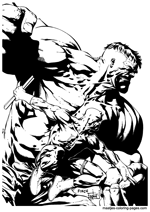 A common storyline is the pursuit of both Banner and the Hulk by the police or the armed forces, due to the destruction he causes. 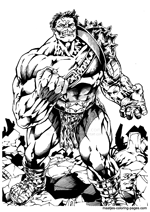 The character has since been depicted in various other media, most notably by Lou Ferrigno in two television series, six television movies, and an animated series; through the use of CGI in Hulk (2003) and The Incredible Hulk (2008), as well as in three animated series and various video games.